There are many factors that influence the success of an ecommerce store, like its look and function, but what is more important is how well your products or services are being sold to customers. The appeal and user-friendliness of your e-store may get customers interested, but it is your payment gateway that reassures them of your trustworthiness. You can process payments directly from your e-store by simply opening a merchant account with your preferred gateway, and even integrate it with your shopping carts. Though the setup process is a bit lengthy and costly upfront, it is certainly worth it, as your customers will be able to make payments without having to leave your website. This will help to lend credibility to your e-store and increase conversions. 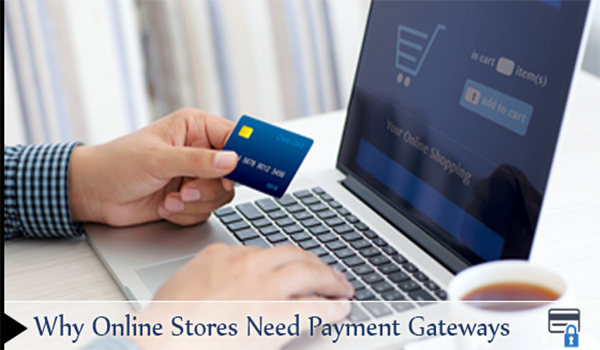 To your visitors and customers, the interaction of your online store with the payment gateway may appear seamless. But in real sense, it is one of the most critical elements in the security of their transaction. When a visitor creates an order on your online store, his or her credit card details (or other payment information provided via alternative payment options) are sent encrypted from your website to the designated payment gateway. Gateways offload this extremely sensitive information immediately so there is no need to store it anymore, reducing the risk of a hacker gaining access to it. For credit cards, the bank usually has a payment processor in place to retrieve this information from the gateway and then communicate with the card company (Mastercard, Visa, etc.) to perform all necessary behind-the-scenes checks and pass an approved notification back to the gateway, and ultimately back to your website, all in a matter of seconds. For businesses looking to provide their products or services to an international audience, a payment gateway with the multicurrency feature can allow users from different countries to purchase items without worrying about the exchange rates. This will make international transactions easier. When it comes to online payment processing gateways, there are quite a few options to choose from. To help with the selection process, you should consider the setup fee, time taken to process payments, security of customer information, transaction rates, and flexibility of currencies. For more information on payment gateways, speak to the MerchACT team today!